As legal information professionals, I am sure you have received requests to track proposed legislation. Changes in statutory law are obviously fundamentally important to the practice of law. The potential for legislative change creates an information need requiring a method of monitoring the status of proposed legislation as it bounces around the legislature. Thankfully, monitoring proposed laws/bills can be done electronically. In fact, there is an abundance of software and services that can accomplish this task. In the past, I have turned to subscription services to set these tracks up. Using a Westlaw, Lexis, or Bloomberg BNA is fine and will do the job of tracking legislation for you, but the drawback to these services is they cost money. Notably, there are alternatives on the web that track legislation, and do so for free. 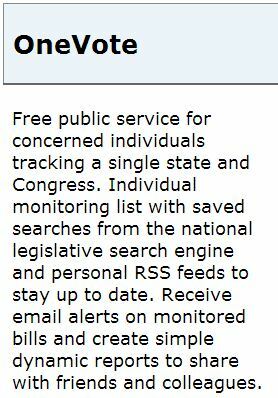 GovTrack.us is a free service that enables a user to track federal activities, including legislation. The user must submit their e-mail to create an account; after doing so, users can create tracks of bills, members of congress (to be alerted when members of congress introduce new bills), votes (to be alerted about voting results), and committees (to be alerted when committees take particular actions). Doing so will deliver the user to a screen that splits up and details all the different information that is track-able. By clicking into the “Bills & Resolutions” screen, the user can search for a bill, search for keywords in a bill, and organize the bills by subject or by which bills have major actions coming up. 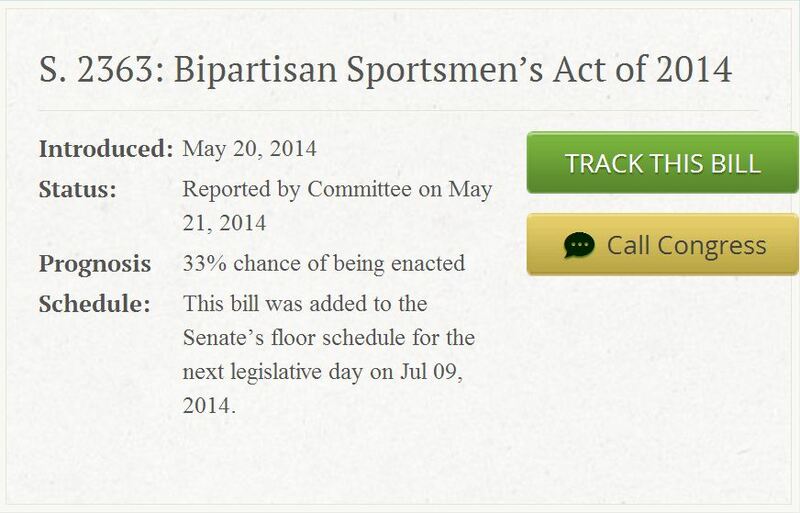 And when a user clicks into an individual bill, he or she will be presented with an informational display (like the above) showing the bill’s name, when it was introduced, its status, its likelihood of being passed, its next legislative actions, and a big green button that enables tracking and that exclaims: “TRACK THIS BILL”. After a track has been initiated, users can either choose to have updates sent via automated daily or weekly e-mails or to have them only displayed in the user’s GovTrack interface. My recommendation is to opt for automated e-mails and then set up an auto-forward rule in Outlook to send to whomever your requester is. Philosophically, GovTrack.us is a site established to provide open access to governmental news and information. Again, it is a free service, though it is not funded by or affiliated with the U.S. government. In fact, it was created by one individual, Joshua Tauberer, back in 2004, again, under the credo of having an open government. The other tiers provide more powerful tracking capabilities: multi-state tracking, unlimited monitoring, .pdf report generation, etc., but do come at a cost. With LegiScan’s OneVote, after a user has established his or her account, setting up bill tracking is a fairly easy process. First, the user can input the specific Senate or House bill number on the LegiScan search template (“HB278”, as per the example to the left)–variations and state idiosyncrasies are very well covered in the help guide LegiScan created and hosts on its site. Or, in those cases where a user must locate the specific bill number, the user can conduct a full text search of the content of the bill’s text, with options to incorporate various terms and connectors and field searching options as covered by a separate LegiScan help guide. Lastly, the default value for the legislative session is the current session, though prior, recent, and all sessions (that are electronically available) can be selected. Once the user has conducted their search, the user will be led to a bill description screen which will display a result match percentage and summary of the bill’s text, to help the user confirm if they have located the correct bill. If it is the correct bill, merely click the bill’s number again (“HB278” in the example) or the “Discuss” or “Text” links. With GovTrack and LegiScan, you’ll have the inside track on tracking. Really great summary of the free resources available for U.S. legislation tracking.